Create a FREE Spotify submission gate where artists will have to follow your playlist before they can submit music to you. Submit your music to the most popular curators. Promote your playlist in our Spotify Playlist group filled with artists & curators. 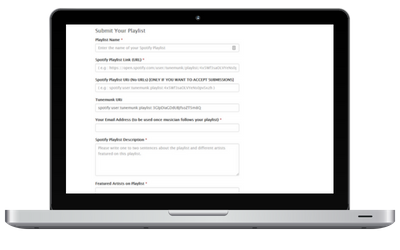 Submit your playlists for free. Promote your playlist to get more followers.